Born to Veteran actor Mohan Babu, Manchu Manoj always tries to show variety in the roles he does and scripts he chooses. He is capable to even win the accolades of his distracters with his work. But sadly he is still in the search of the much need commercial success. Besides being an actor, he also tried his hand in singing and writing lyrics. Manchu Manoj is the youngest child of Actor Mohan Babu and his wife Nirmala Devi. Both his siblings, Manchu Lakshmi Prasanna and Manchu Vishnu are also actors in Telugu film industry inheriting their father's legacy. Manoj was not so great at academics but later on picked up and graduated from the Southeastern Oklahoma State University, USA. 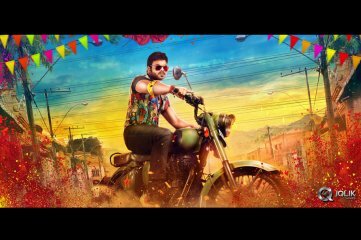 Manchu Manoj first donned the grease paint as child artist at the age of ten for his father’s own production venture, Major Chandrakanth. He played the child version of his father in the movie and also appeared in the famous Punyabhoomi Naa Desam song in the movie. His first appearance as full length hero dates us to 2004 with a movie titled ‘Donga Dongadi’, an average grosser. And during the span of six years from then, he acted in only 4 movies – Sree (Flop), Raju Bhai (Flop), Nenu Meeku Telusa (Average) and Prayanam (Average) and all of them did not give him a result which he will be proud of. His first commercial success came in 2010 with a comedy entertainer, Bindaas. The movie is still the biggest grosser in the actor’s career and he even received a Nandi Special Jury Award from the Government of Andhra Pradesh for his performance in the movie. He also acted in a musical entertainer, Jhummandhi Nadham directed by Raghavender Rao in the same year. The movie ended up as an average. In the same year, he played a guest role in Vedam alongside Allu Arjun. His performance in the movie won him many accolades. With the success in his bag finally, Manoj tried to bring in more innovation in to his movies and attempted movies like Mr.Nookayya and Uu Kodathara Ulikki Padathara but both of them failed miserably at the box office. Manoj toiled hard for both these movies; he wrote the lyrics of two songs in Mr.Nookayya and also composed fights for both the movie. Licking his wounds, Manoj is attempting a commercial formula film now to get back on track. Manoj pinned high hopes on ‘Potugadu’ and it was made with heavy budget. But the movie received mixed reports and the talk was also average. Manoj turned as a playback singer and in addition, he choreographed action episodes for this film. 2014 has been further disappointing for Manoj. His family multistarer film, Pandavulu Pandavulu Thummeda was despite an average performance did not yield as much as profits the producer would have liked. And towards the end of the year, Current Teega released which was straight away a bitter failure. His speech after receiving Nandi Award in 2010 became controversial after he indirectly referred to Government’s failure in awarding actors like NTR and Mohan Babu who contributed immensely to Telugu cinema. He first signed Vedam alongside Allu Arjun as a Multistarer movie. But he is not happy with his limited role after the movie completion. Hence his role in the movie credits is only called a ‘guest appearance’. His movie, Mr.Nokia ran in to controversy with the famous Nokia Company on copyright issue. The makers had to change the name as ‘Mr.Nookayya’. Rumors floated that Manoj and ‘Potugadu’ movie producer Lagadapati Sridhar had differences and so Manoj skipped the promotion of the film. Later Manoj cleared about the rumor in his Twitter account. Manoj is a big fan of Jackie Chan and always wanted to meet him in person. After missing on several occasions, he finally met the Legend in Hampi, India when he is there to shoot for Myth. Manoj calls that day as the my most memorable day of his life. Secret Behind Manoj, Charan And RRR! Manchu Manoj Into Janasena Party ? What Is This Journey Manoj? Manchu Manoj's Fight In Pub, Reason? Manoj's movie gets a release date? Gunturodu vs Dwaraka: Who Will Win? Which Film Makes Fortune This Week? Will Guntur Bless Manchu Hero? Kanche Girl for Manchu Manoj? RGV's Attack Audio Release On..
Vadde Naveen's Film On March 18? Will RGV Be Guest To His Film Audio? 'Attack' Release Only In January? Big Loss to the Manchu Family! Mohan Babu in a fresh Controversy! Manchu Manoj's Wedding Date Fixed! Mohan Babu Introduces His Third Daughter!! Mohan Babu Clarification on Manoj's wedding! Manchu Manoj grooming up for Love Marriage? Current Theega Teaser Talk - Rockstar Rocks! Happy Birthday Mr Dimple Cheeks! Idi Modalu To Create A New Wave In Tollywood? Bindaas 2 � Sequel for Bindaas! 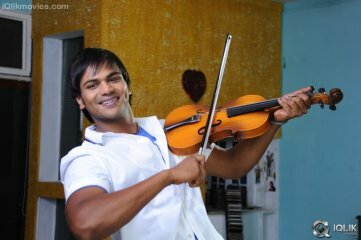 Manoj's Potugadu to hit screens on..
Manchu Manoj Gives Green Signal to Chinni Krishna.